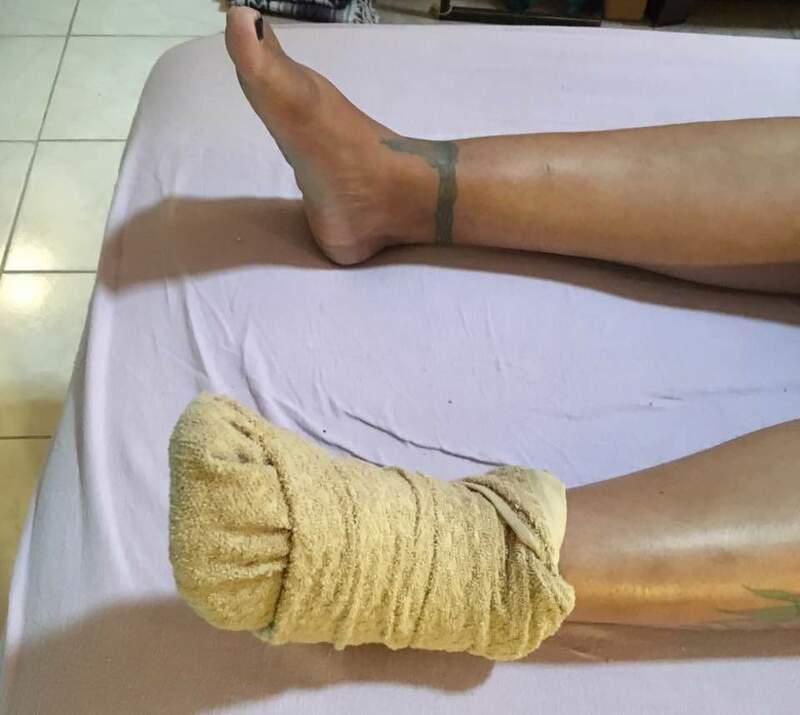 This is the infamous “booty wrap.” In Thai foot massage, after the feet have been washed, we wrap up the feet. We leave the foot we are not working on under wraps! Or wrapped. If you had a larger towel, or a smaller receiver, your wrap could extend all the way up to the knee. The trick is to keep a gentle compression happening without allowing the towel to be lax.